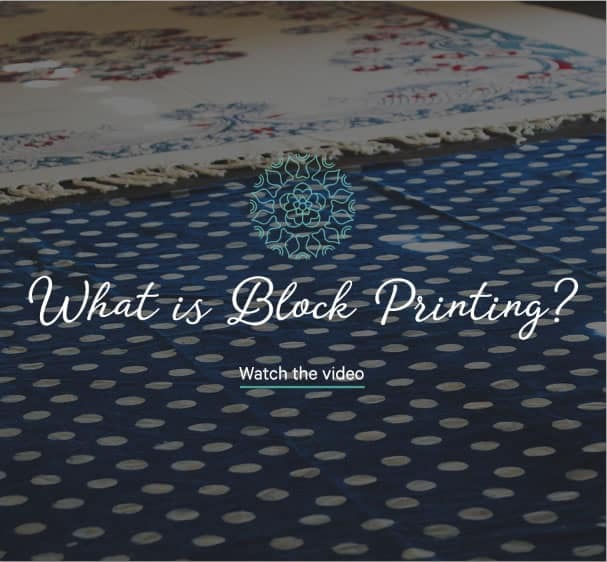 Block printing is an ancient textile tradition that originated in the Rajasthan Desert region of India centuries ago and is one of the oldest types of printmaking. It is a labour-intensive process which requires tim e, teamwork and a tremendous level of skill. 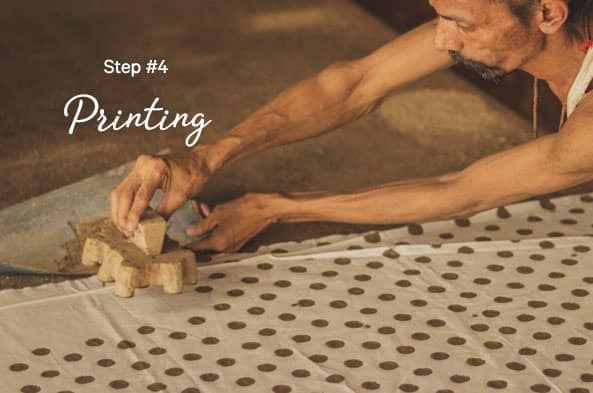 Despite faster and more modern methods of textile printing, block printing has been kept alive for its authentic and unique finish. 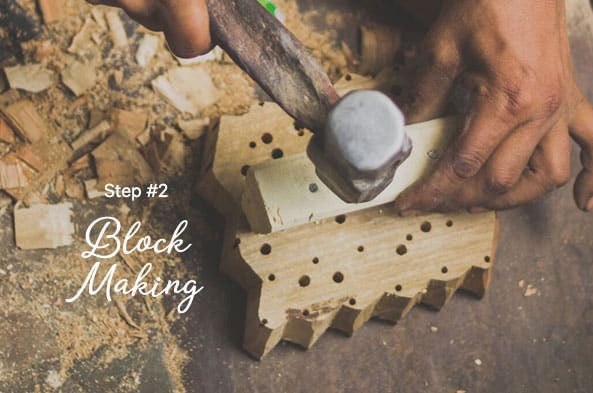 Each block is made with a wooden handle and several small holes to release air and excess dye. It is soaked in oil for 10-15 days before use to soften the grains of the timber. 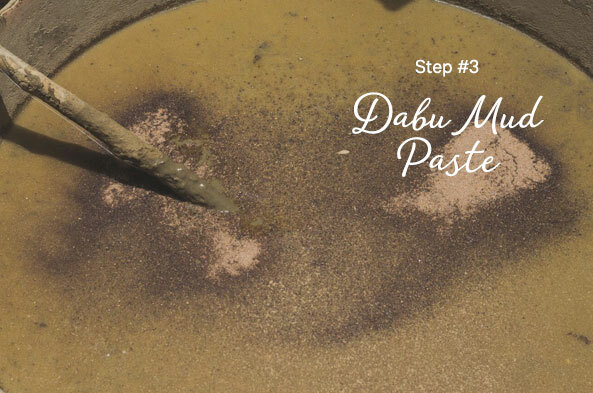 Dabu is a natural dye resistant mud paste made out of earth, naturally pounded wheat chaff and tree gum. This is used to block out the desired pattern. The surface used for the printing is a saree length table padded with many layers of cloth. The dabu paste is added to a wooden box on a little table with wheels which is pulled around as the printer works. 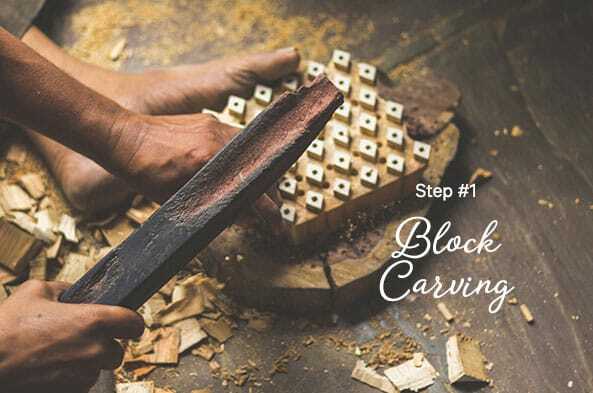 The printer gently pats the block into the dabu paste and gives the handle a firm pound in the centre of the block as he places it onto the fabric. He or she will repeat this from left to right, aligning the block perfectly by eye from years of experience till the envisioned pattern is completed. A deep vat is filled with an extract from the indigo plant (fermented leaf material), water and limepowder. 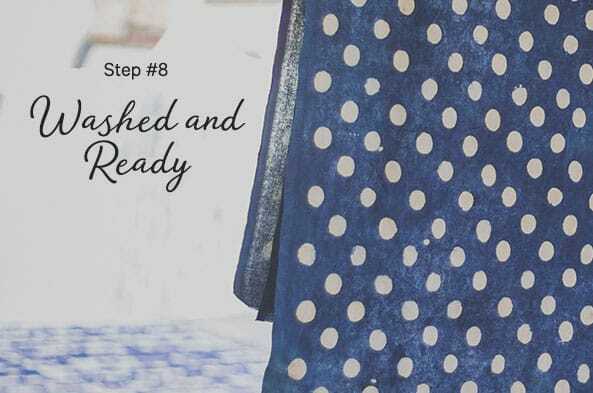 The fabric is immersed into the indigo dye. 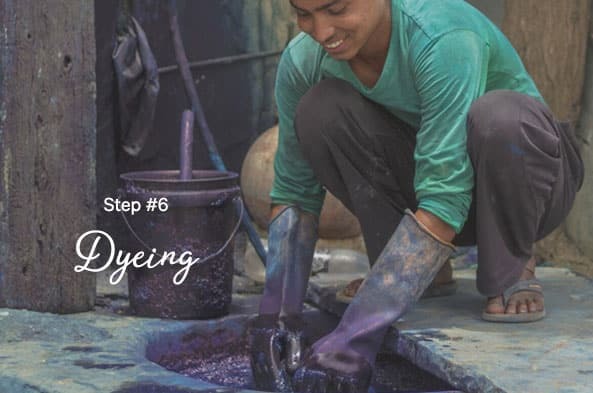 The darker the intended colour, the more times the fabric is immersed into the vat. 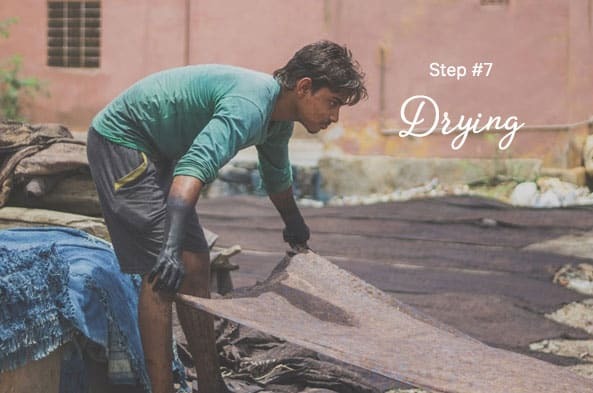 Once the desired colour is achieved, the fabric is stretched out in the sun to dry. Walking around villages you can often stumble across large blue fields of indigo sheets drying the sun. 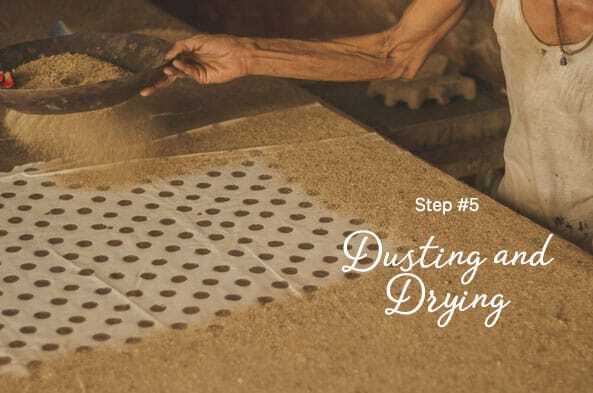 Once all printing and dying processes are completed it is washed again to remove the dabu paste revealing the envisioned pattern in the original white. Each piece is unique depending on weather conditions, consistency of the dabu paste to the minerals in the water. We find beauty in this, each piece telling a story of its maker and environment.